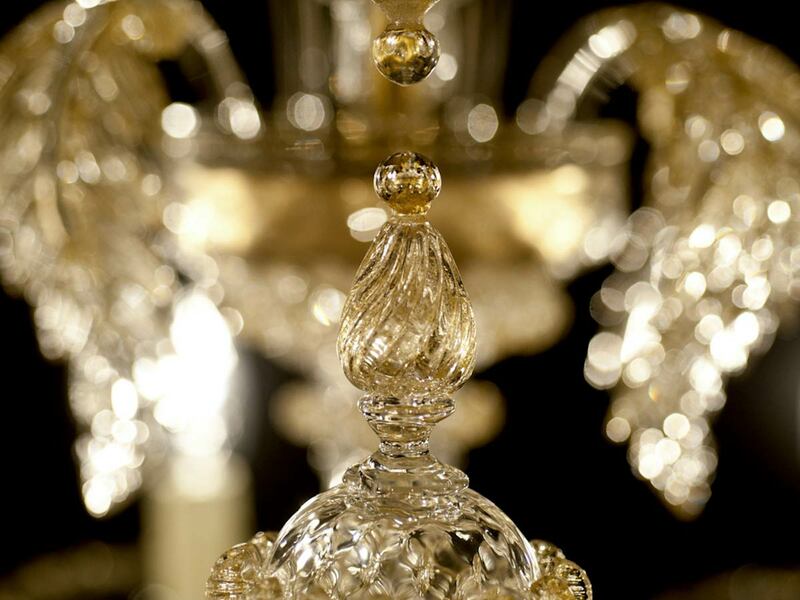 Every “Rezzonico” chandelier is both a work of art and elegant engineering at work. Element proportions and weights must be harmoniously balanced in its incredibly complex structure. 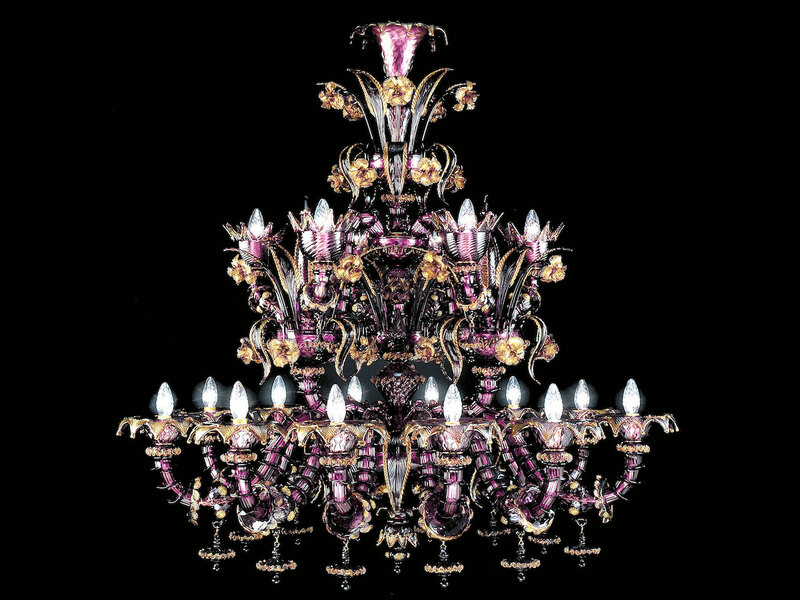 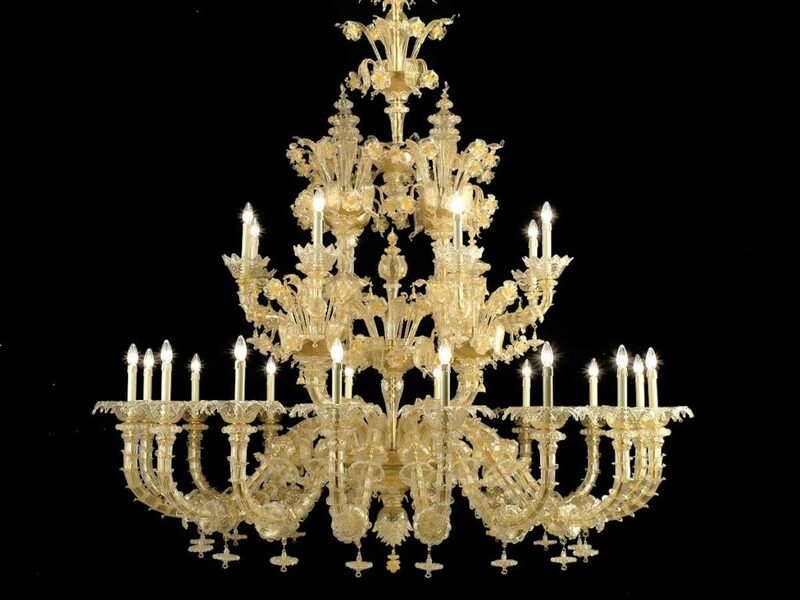 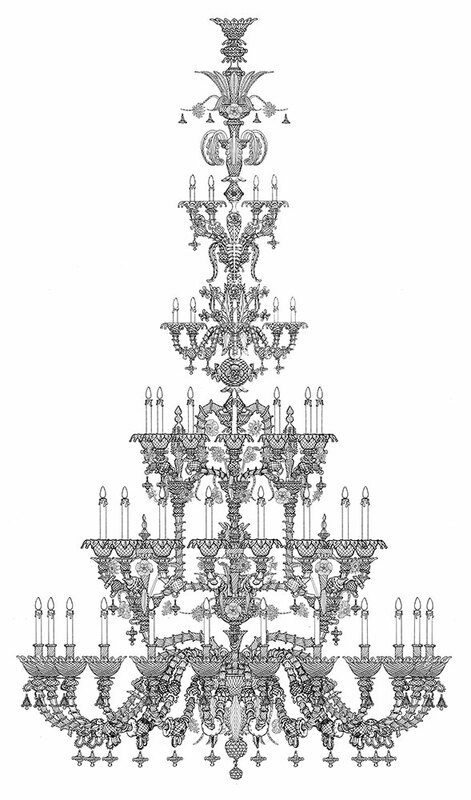 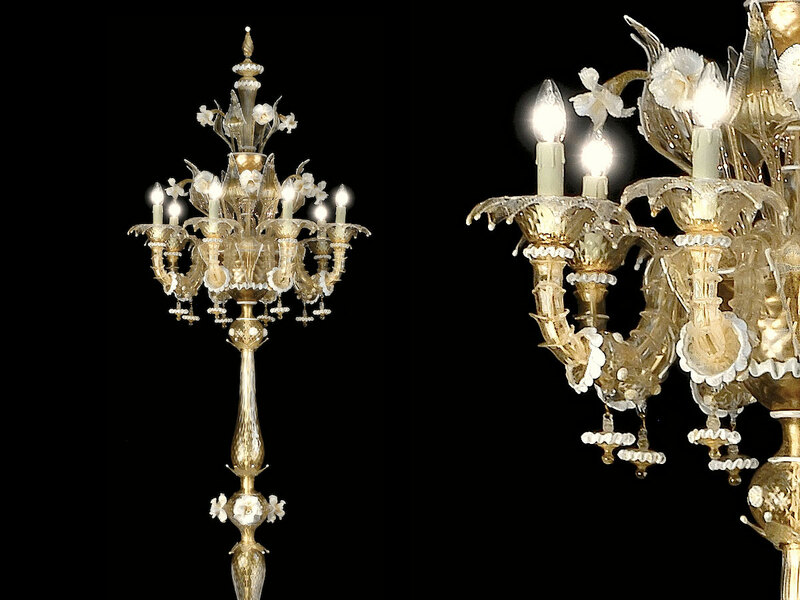 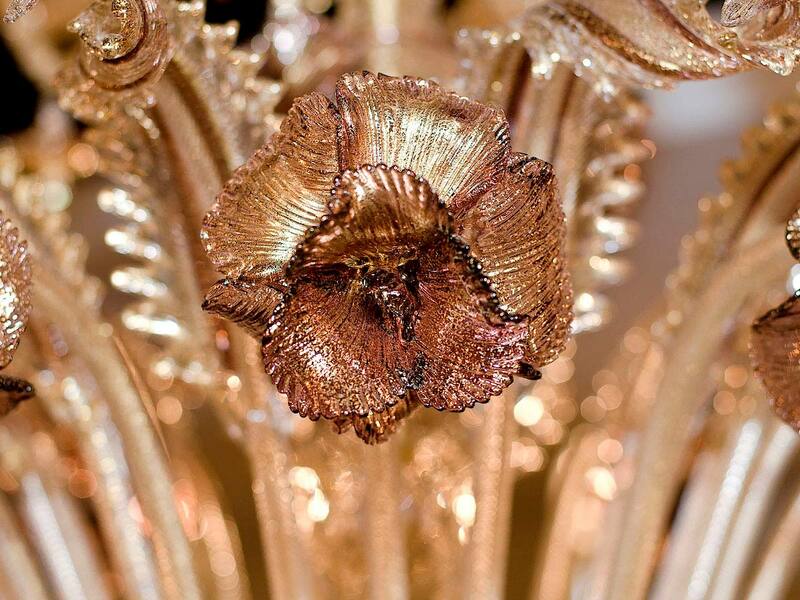 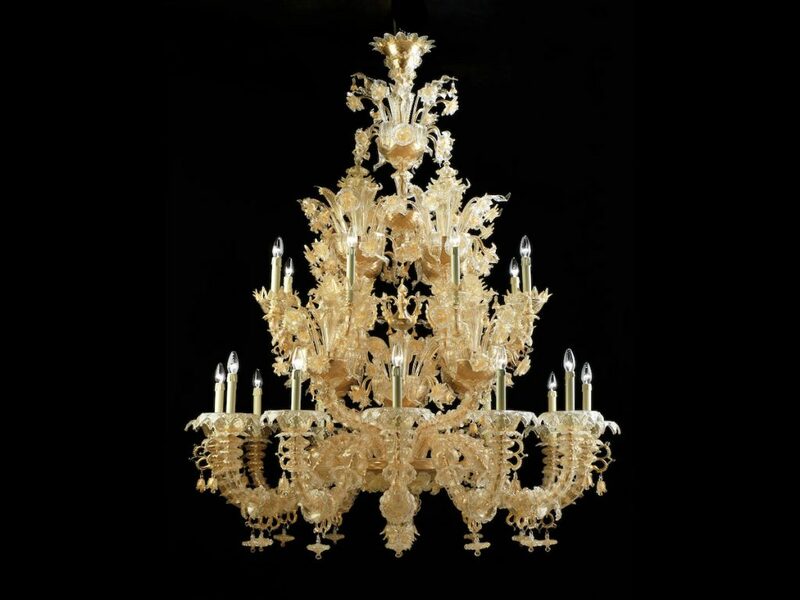 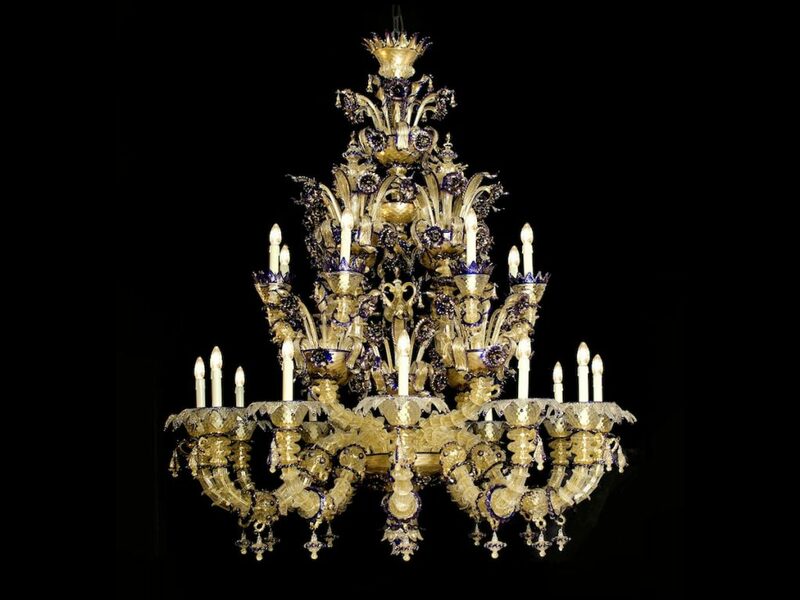 The first chandelier with these distinctive features was created in the 1700’s, commissioned by the wealthy Rezzonico family which gave its name to the chandelier style. 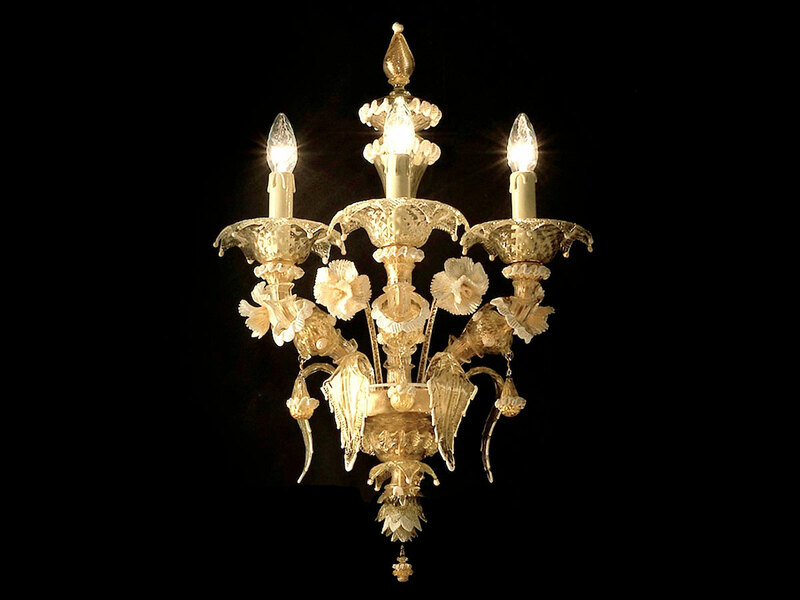 These affluent merchants wished to adorn their magnificent palazzo on the Grand Canal in Venice with a piece of art worthy of representing the grandeur of their family’s splendid history. 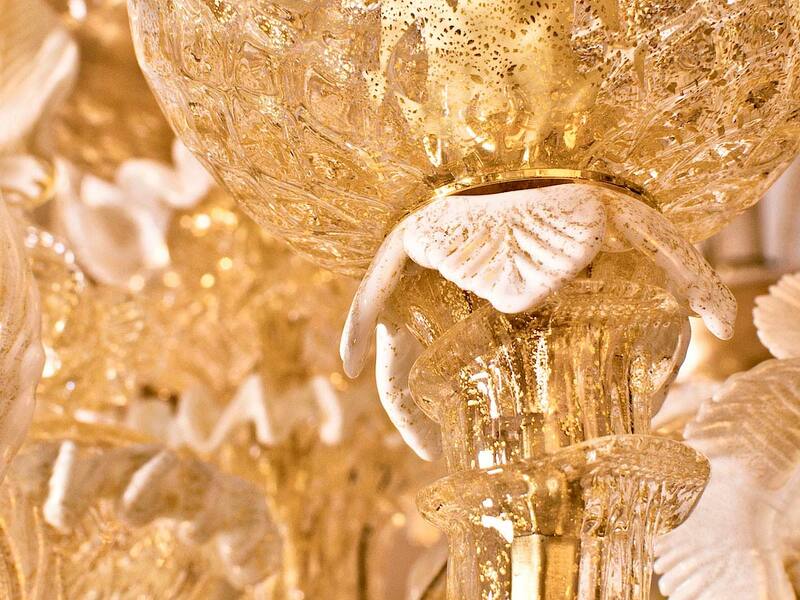 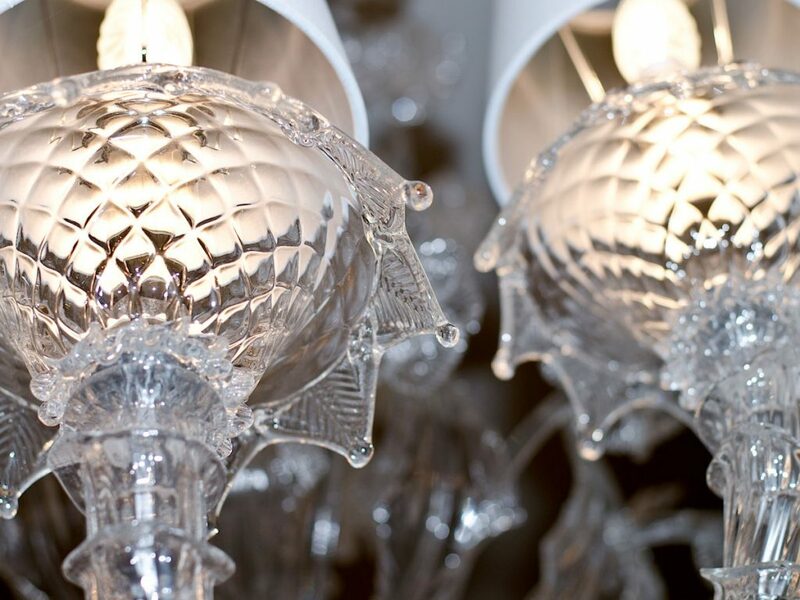 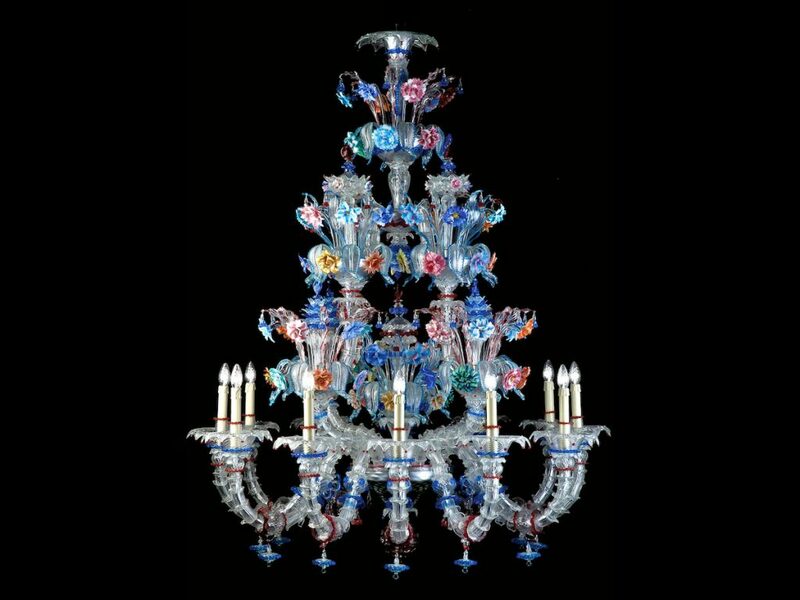 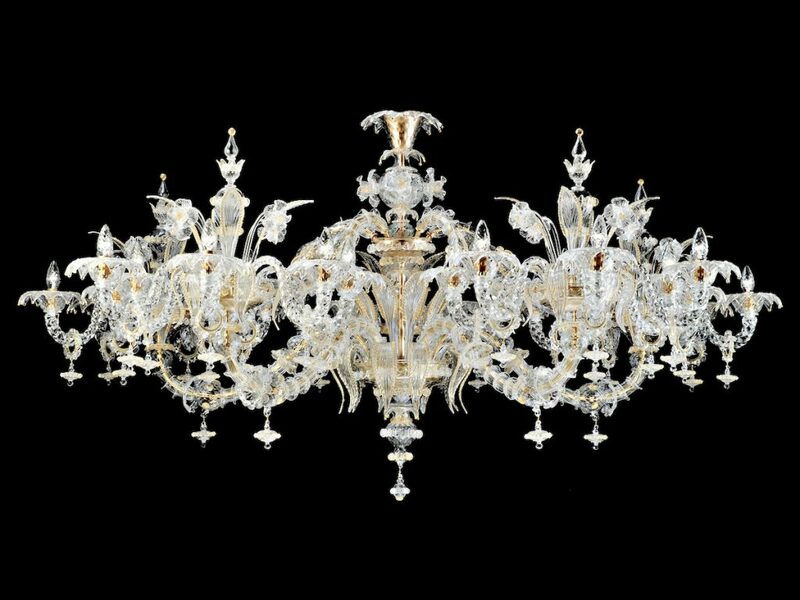 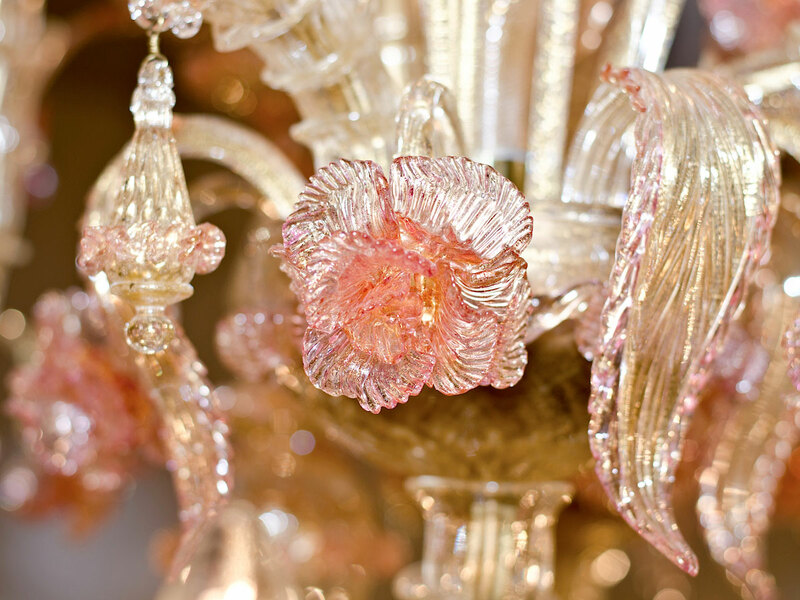 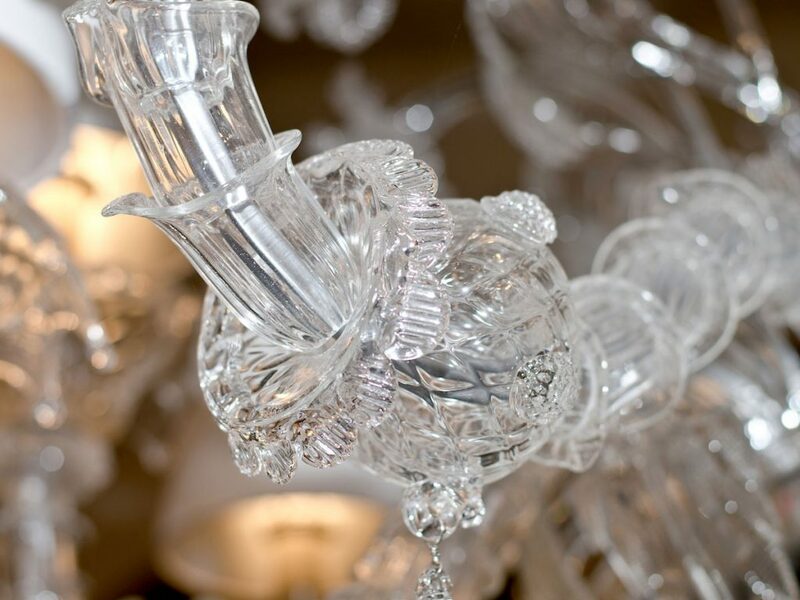 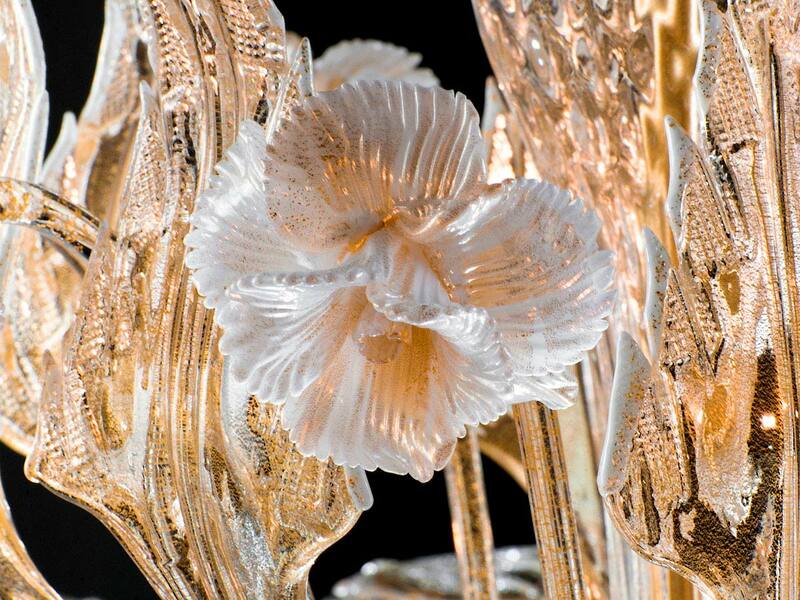 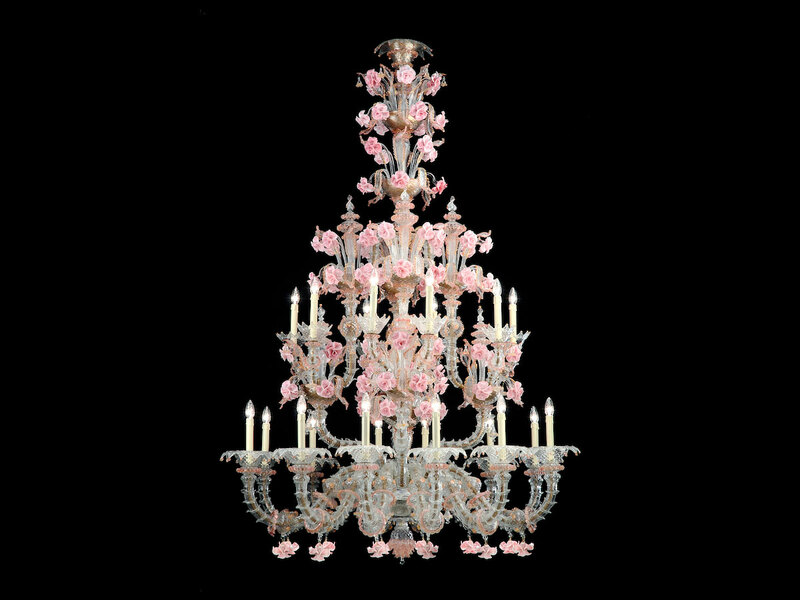 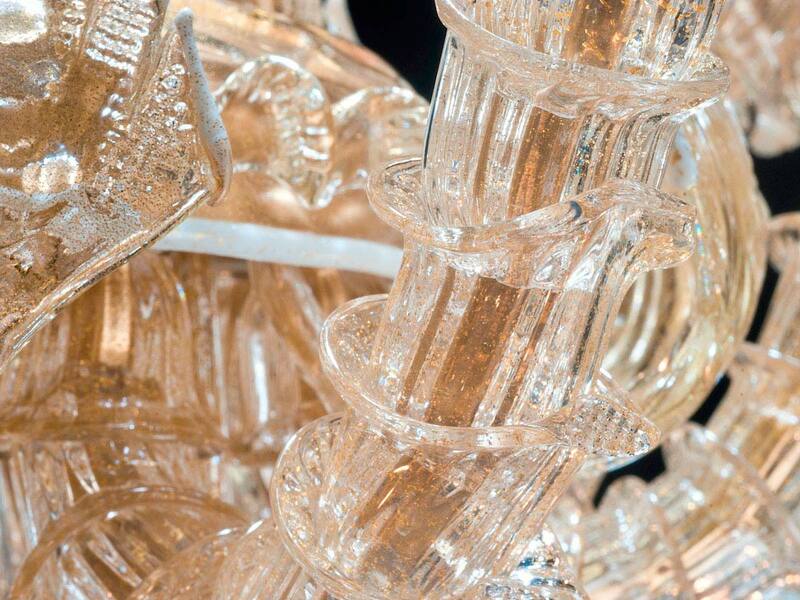 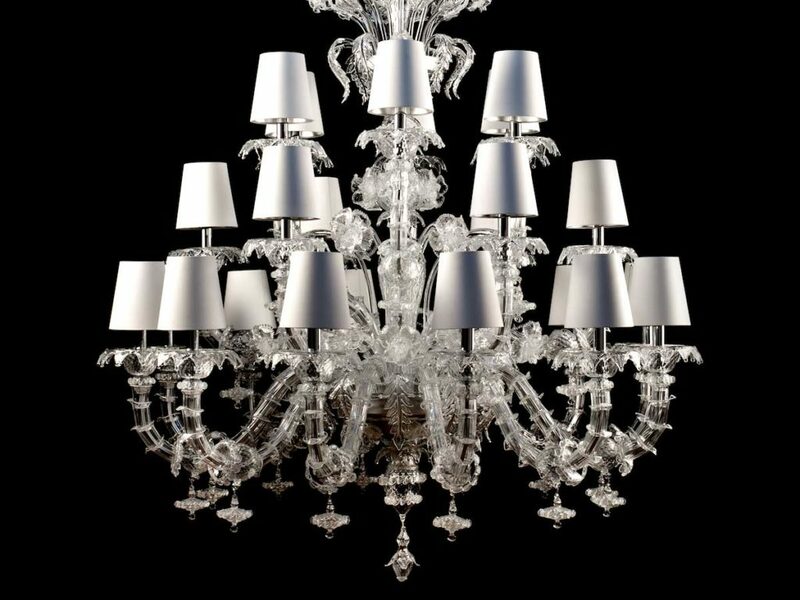 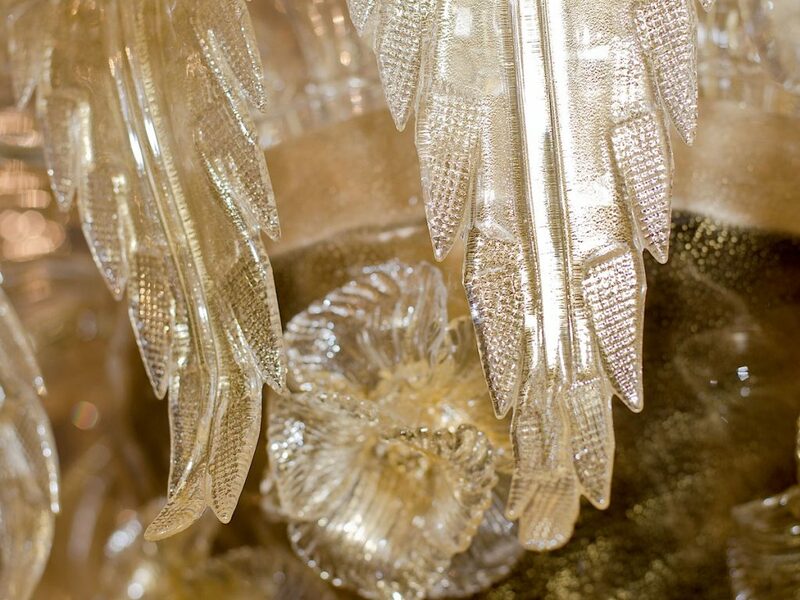 Since then, the Master glassmakers of the Seguso family have become experts in “Rezzonico” style chandeliers, creating the most sought-after pieces on the market, unmatched in magnificence, wealth of decorations and refined detailing. 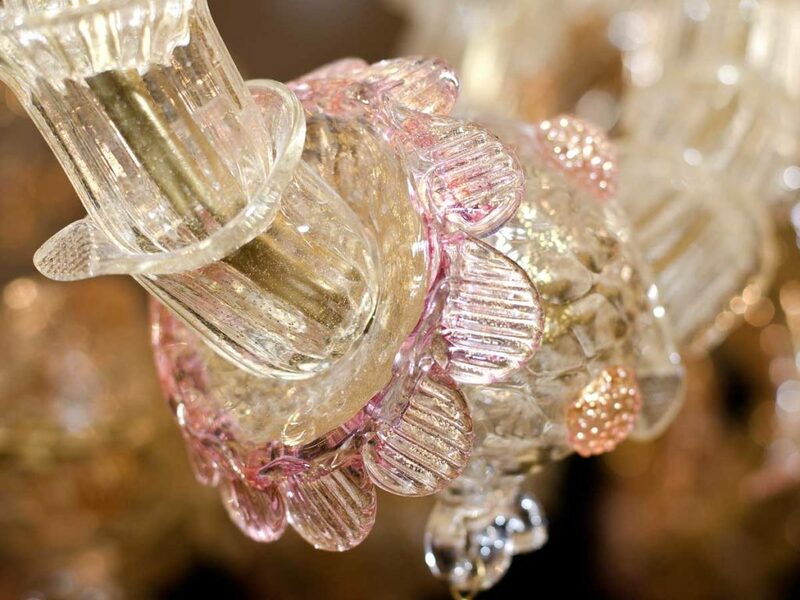 Every one of its components is handcrafted, custom designed and personalized to each client’s wishes, from dimensions and number of lights, down to the smallest detail and hue. They are the ideal complement to luxurious classic settings, as well as adding a rich contrasting depth to modern furnishing styles.